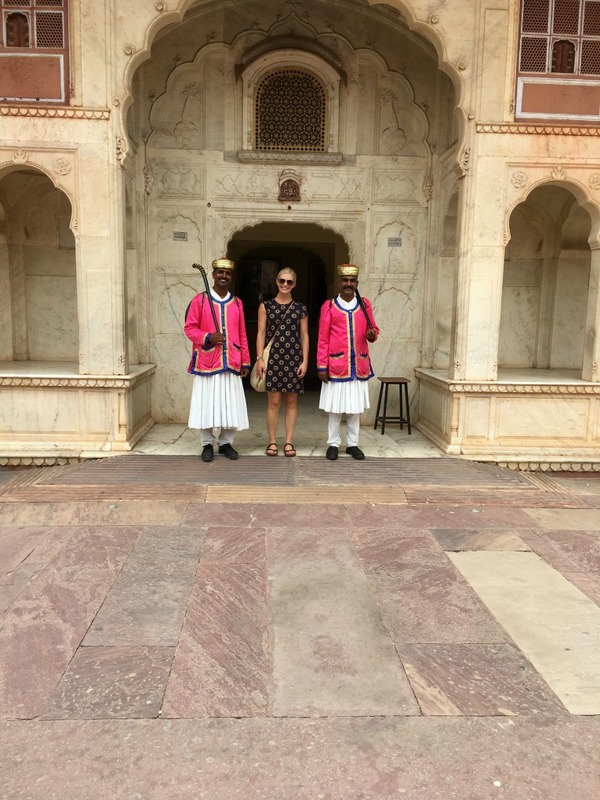 Last weekend, my manager Lisa and I took a weekend trip from Mumbai (where we are working) to Jaipur, India. 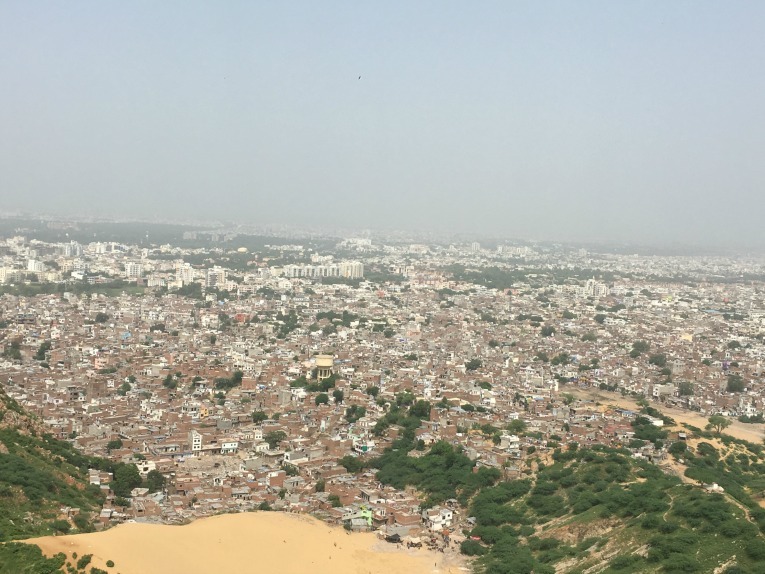 Jaipur is a northern city, the capital city of the Indian state of Rajasthan. 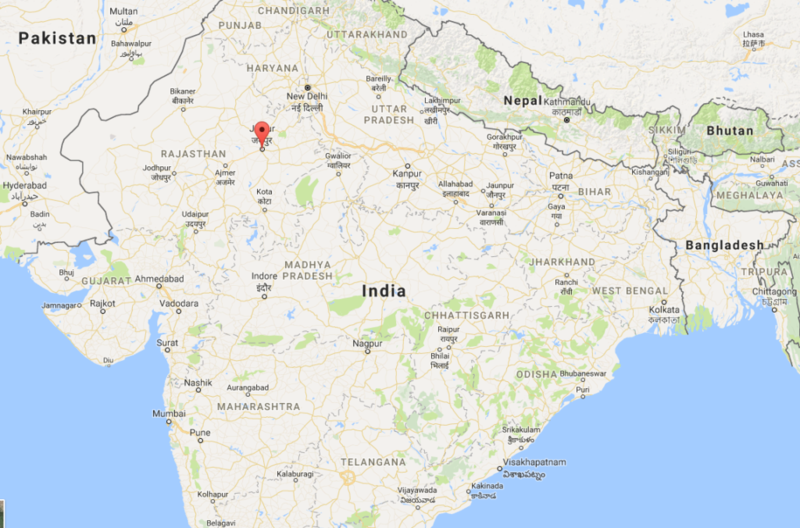 Like the 50 states of the US, the 29 states of India are all apparently very different. 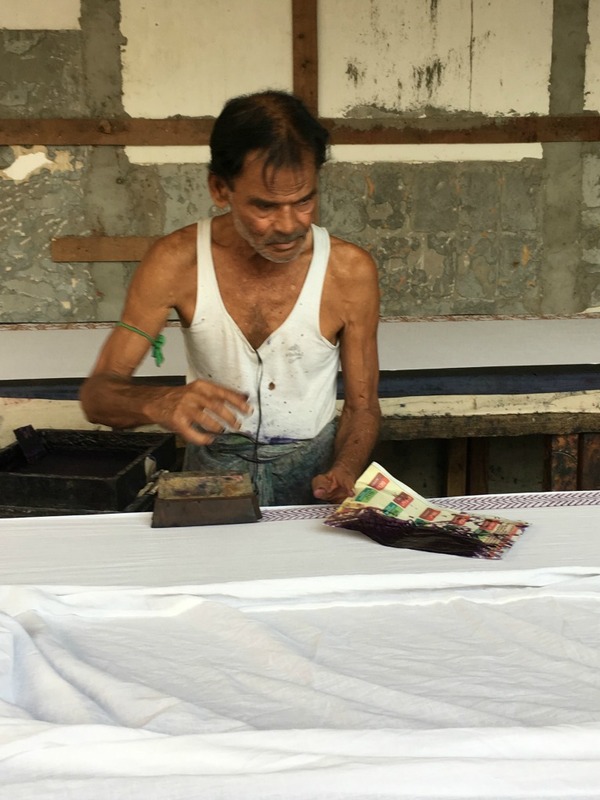 I had only been to Mumbai at this point during my time in India, so I am so glad that I had the opportunity to explore more of this vast and interesting country. 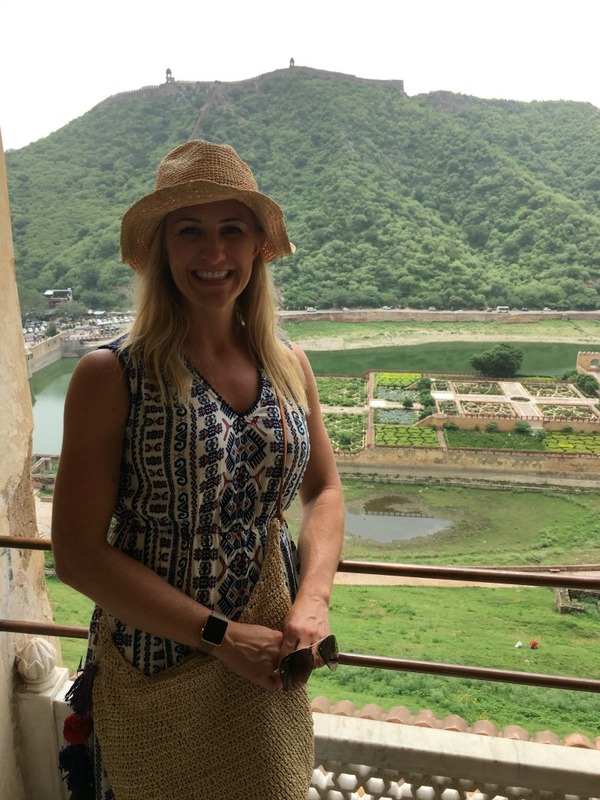 The flight from Mumbai to Jaipur was less than two hours; we flew Jet Airways and on the way to Jaipur, Lisa and I were both pleasantly surprised by our experience on the airline. On the way back, our experience wasn’t quite as rosy, but still not bad for the price. 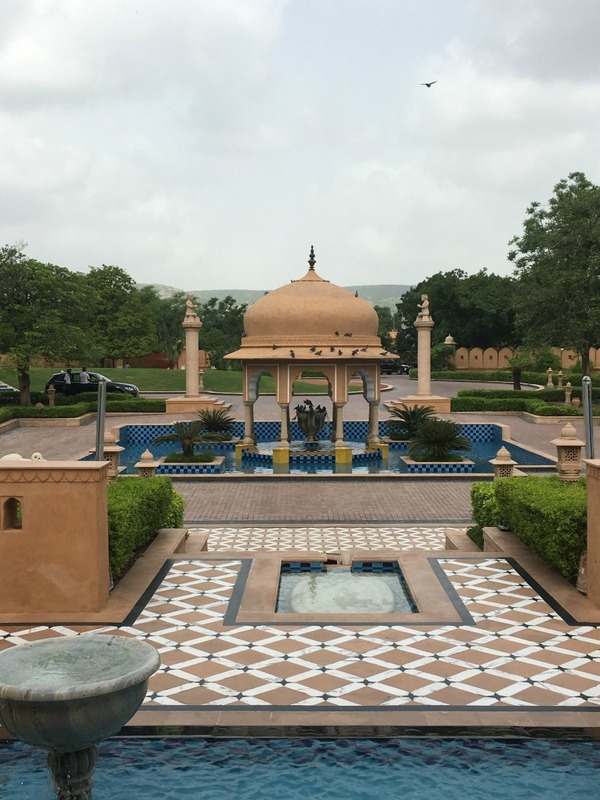 The hotel was beautiful and the service was really great at the Oberoi. We were greeted at the hotel with flutes of infused water and a flower necklace. Then they loaded us into a little golf buggy to take us to our room, which was so nice…lots of space, beautifully decorated, huge bathroom, etc. 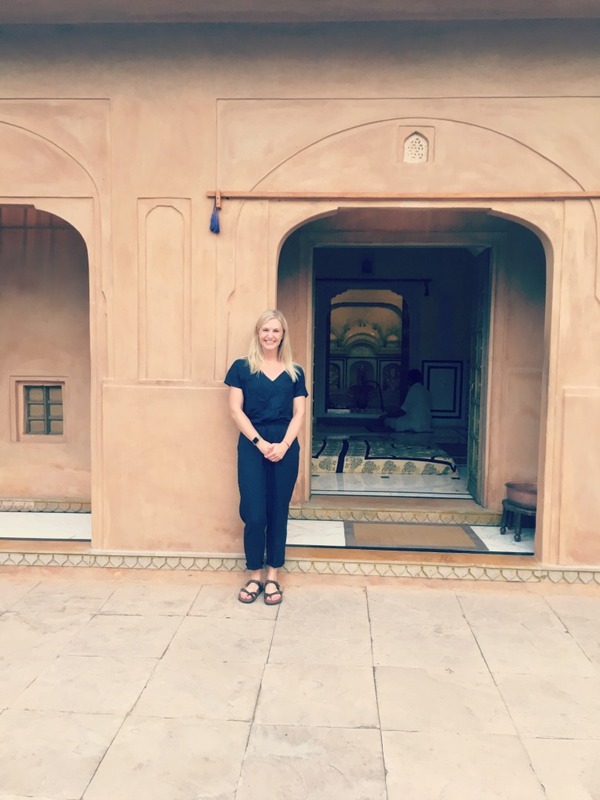 After settling in, we explored the hotel grounds a bit, including obtaining a blessing at the 18th century Shiva temple right onsite. Eventually we had dinner at the hotel restaurant, Surya Muhal, which was fantastic. We also met with the concierge to plan our tours for the weekend. The gentleman who helped us was so adorable and helpful. I really enjoyed traveling with Lisa as we both were ready for bed after dinner, ha! I think we were both happy to get some sleep after a long week and I knew I was getting up early to run. 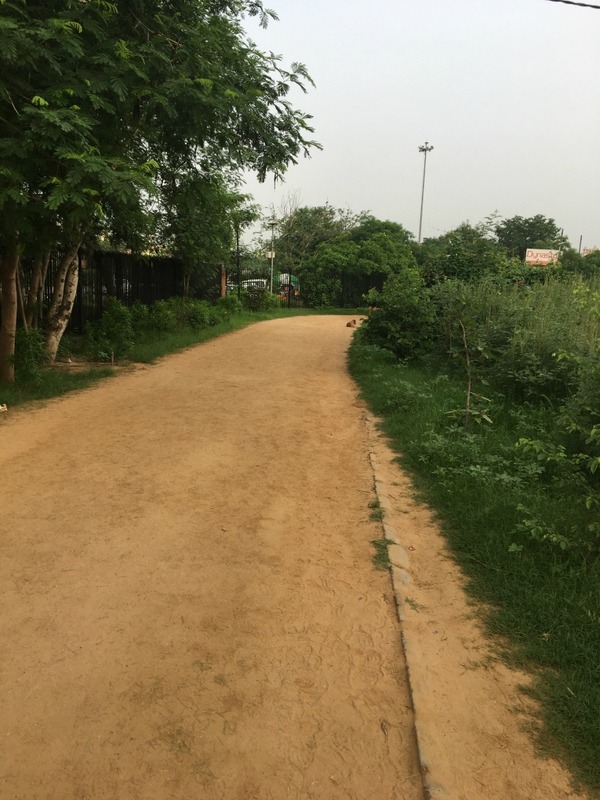 As I mentioned in my weekly recap post, I was up very early to head to a run at Jaipur’s Central Park, where I ran 5 miles (two 4km loops) with my running guide Manoj. 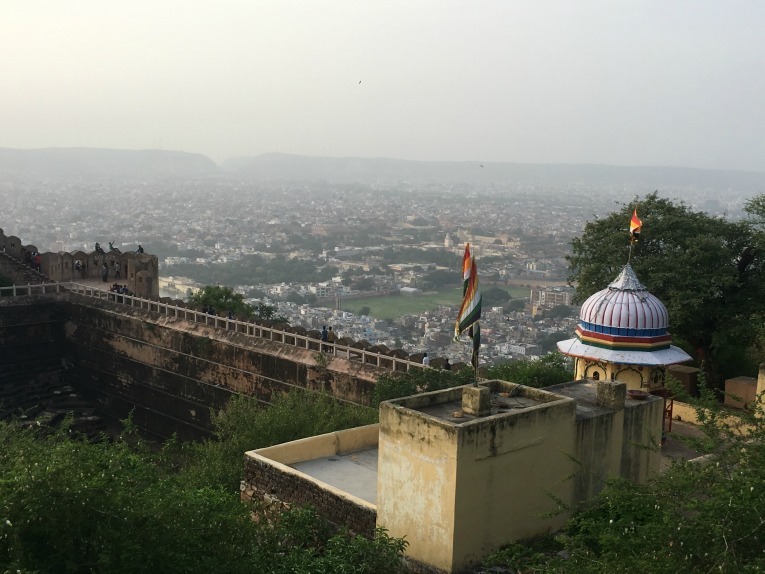 I enjoyed chatting with him about running (and life) in Jaipur. 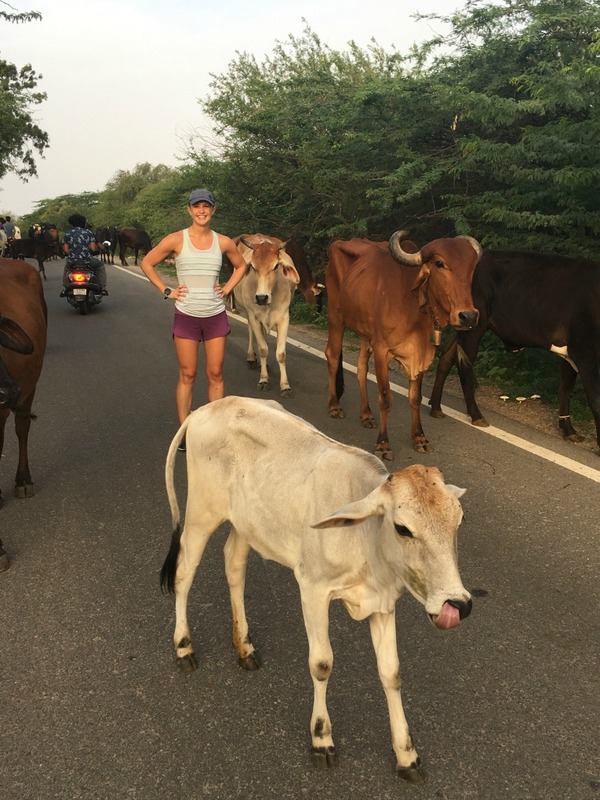 He was very impressed with my running experience; running is much less mainstream in Jaipur than in the US, that’s for sure. 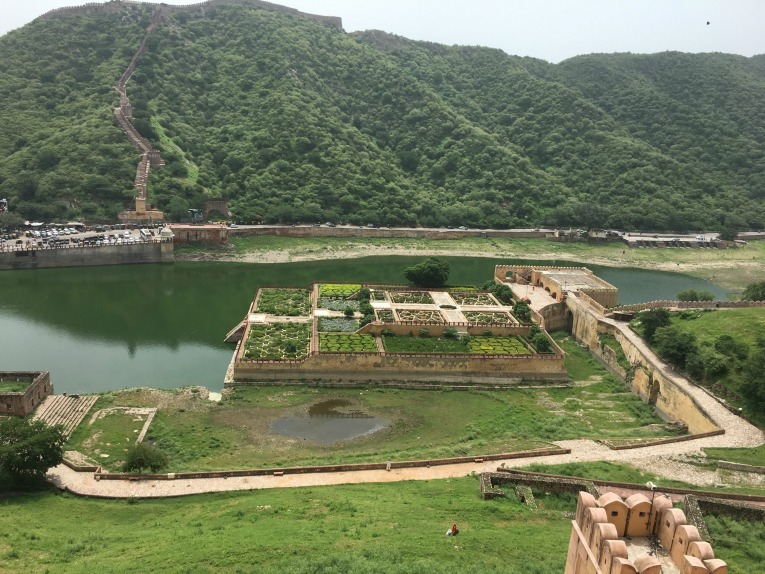 I really love to explore via running; as much as I loved the history and information gained during my official tours throughout the weekend, I felt like I got to know a lot more about life in Jaipur by running with people there. After the run, we headed into the ‘city walls’ i.e. the official “Pink City” for a masala tea. Manoj said it was tradition to get a tea after a run (just as American runners go to brunch or maybe grab a beer?) The tea was delicious! Back at the hotel, Lisa and I enjoyed the Oberoi breakfast before meeting our tour guide for the day. The same Audi with wifi and water and all that jazz was our ride! Pretty sweet and comfortable. Our tour started at Hawa Mahal, i.e. Palace of Breezes, i.e. instagram paradise! Basically the royal women were not allowed to be seen by the public, so they had to stay within the palace. 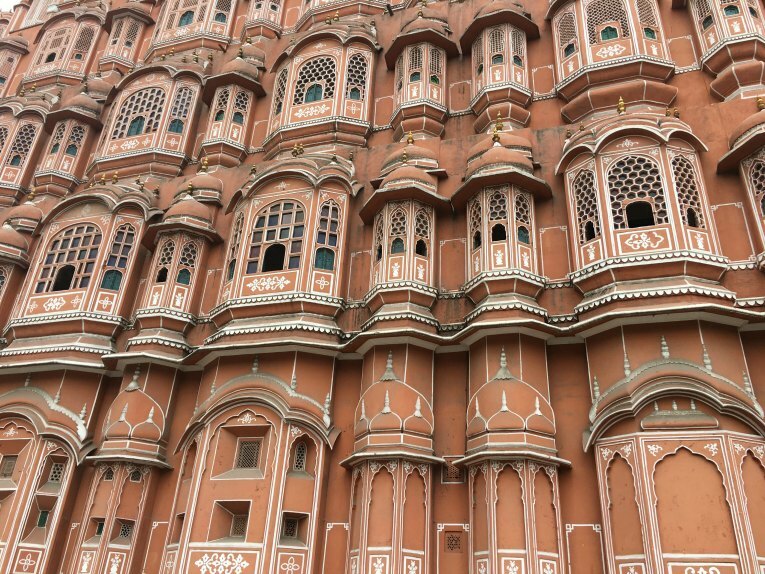 Yet they needed enough windows to see parades and whatnot outside; hence the Hawa Mahal with the 953 windows! Our guide was quick to tell us that the king did not have 953 wives, though he did have quite a few of them- all the windows were so the wives could see out of every angle, without showing their faces to the public. 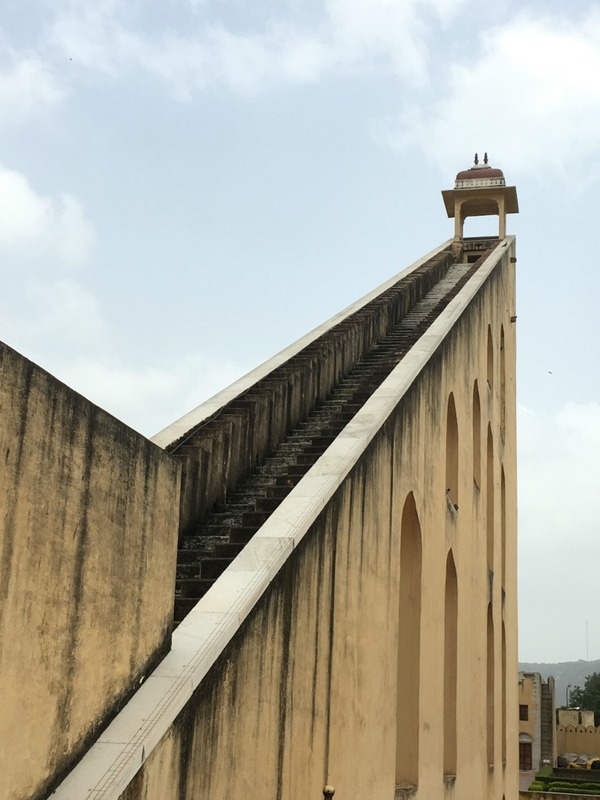 Next stop on our tour was Jantar Mantar which is a collection of nineteen architectural astronomical instruments, built by the Rajput king Sawai Jai Singh II in 1734. 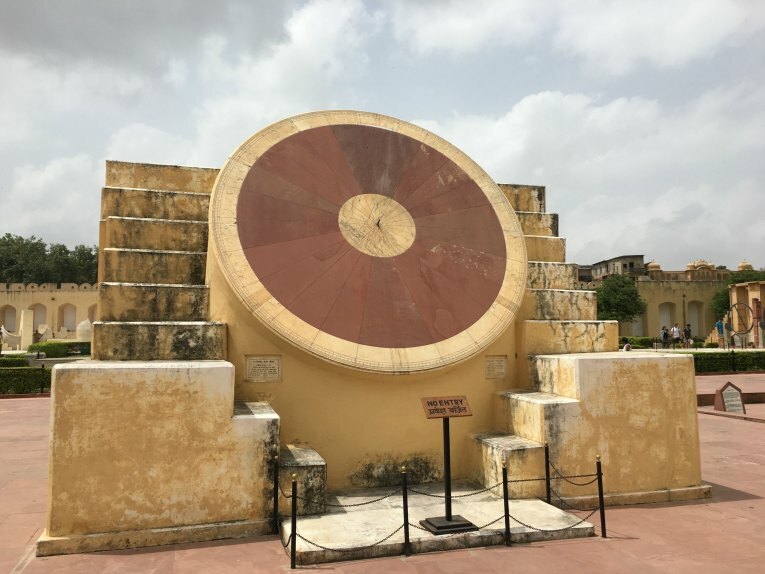 It features the world’s largest stone sundial, and is also a UNESCO World Heritage site. Our guide was really excited about this spot as he actually took classes there. His insight was helpful to Lisa and me, as he was able to explain all of the instruments in layman’s terms. Much appreciated! 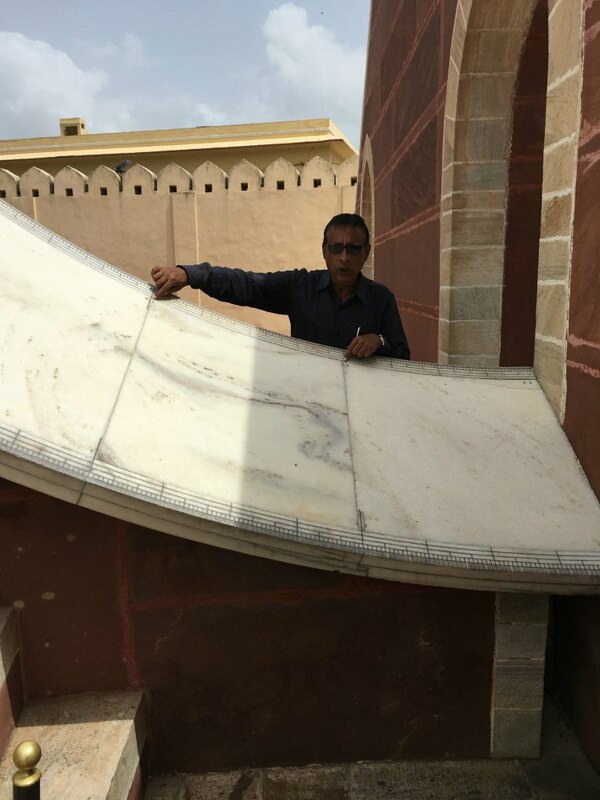 Literally “instruments for measuring the harmony of the heavens”, the Jantar Mantar Observatory was built between 1728-1734. 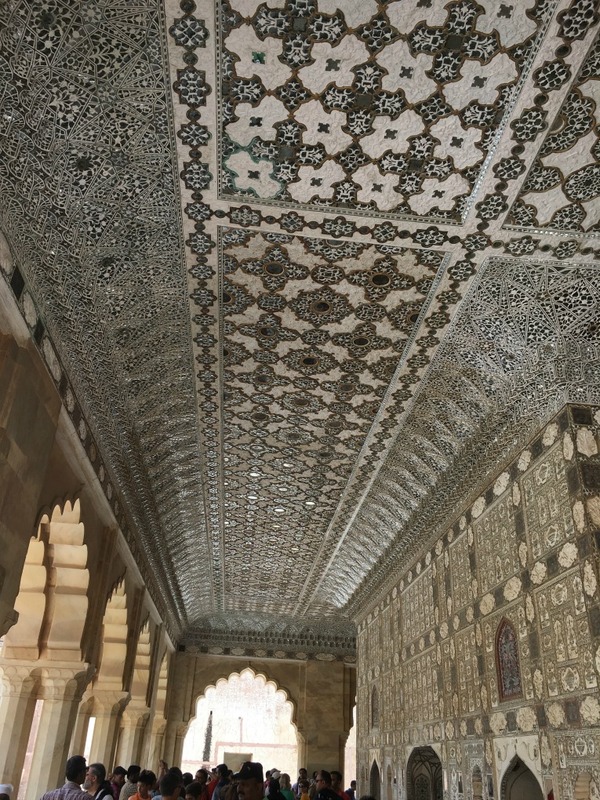 Not content with brass, Jai Singh II wanted things on a grand scale and chose stone with a marble facing on the important planes. Each of the instruments serves a particular function and each gives an accurate reading. It is said that Indian kings viewed themselves as “Universal Emperors wielding the wheel”, an emblem that represented the universe. This meant that the correct time had to be fixed for each event. Astrologers were hired to regulate actions within the palace and, by extenuation, within the entire kingdom. 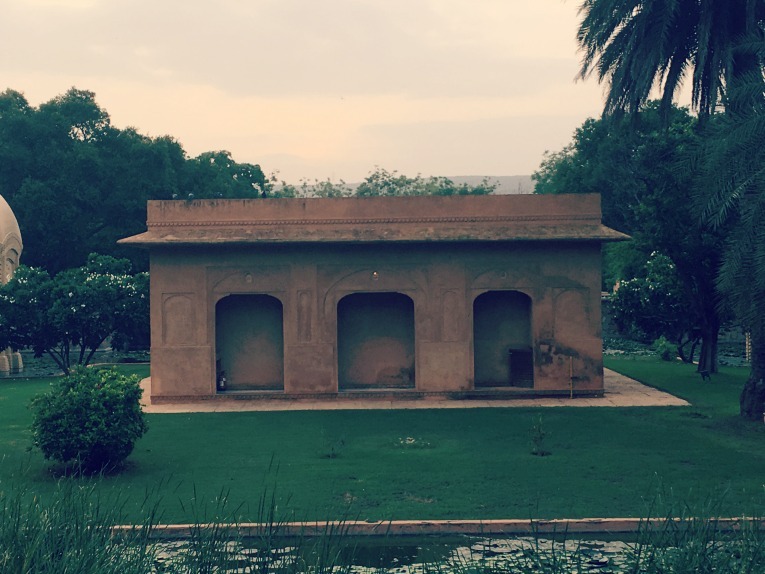 Astronomy was closely related to astrology, which is why Jai Singh II constructed the Observatory inside his palace. 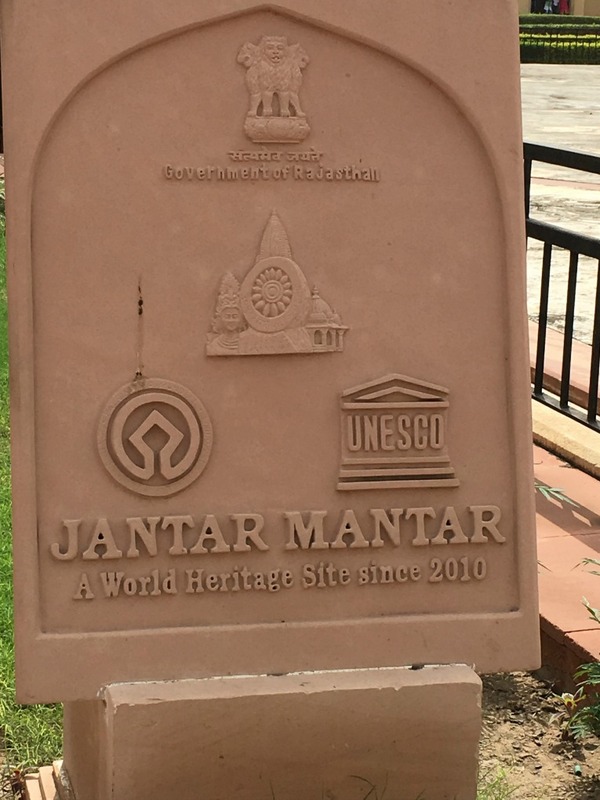 Some tour guides say that Jantar Mantar is skip-able if you ‘re short on time, but I thought that it was worth the stop. 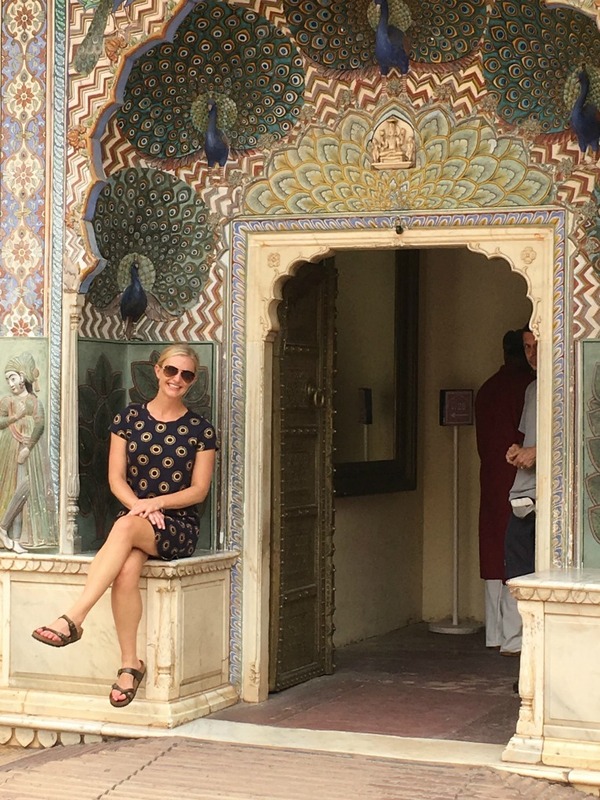 Ah, the Jaipur City Palace- what a cool spot to visit! 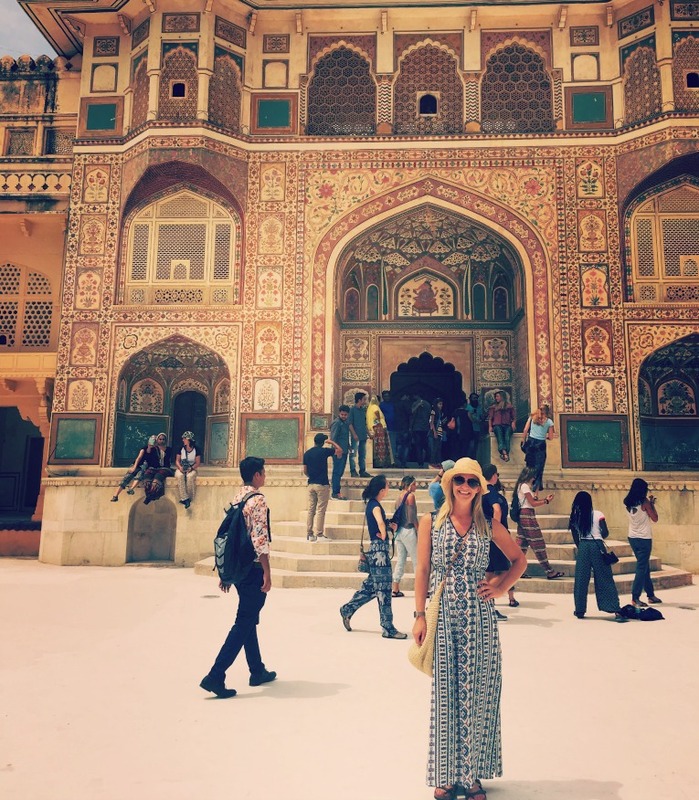 The spectacular City Palace is the residence of the former ruling family of Jaipur, i.e. kind of like the British Royal Family; no true political power any longer. Our guide provided a great amount of historical information here as we browsed the armory and historical textiles/apparel exhibits. 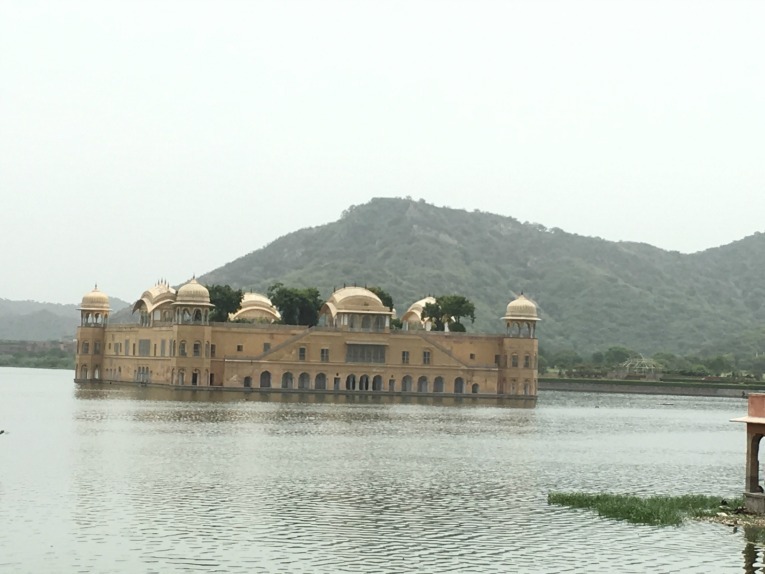 The ‘royal’ family still lives in the palace, but one cannot tour that part of the grounds. 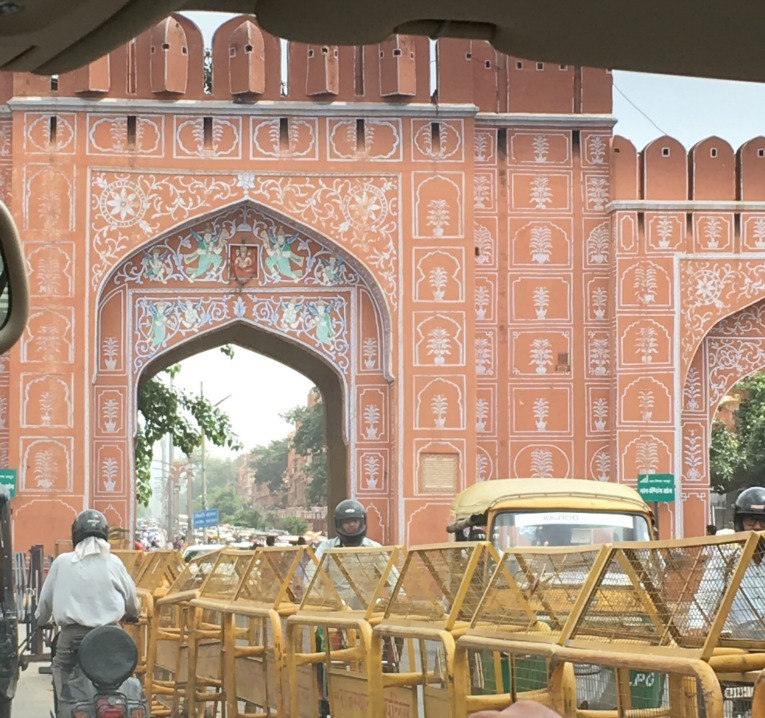 The above stops- Hawa Mahal, Jantar Mantar, and the City Palace took us perhaps 3-4 hours. Rather than squeeze in all the tourist spots into one day, we decided to break it up over two days, so we could do a little shopping Saturday afternoon. First, we stopped by a jewel store. 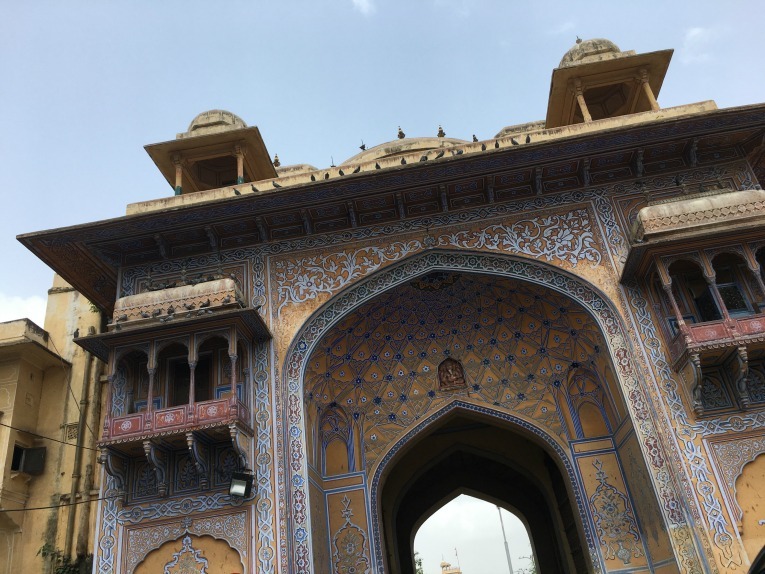 Jaipur is well known for their gems/jewels. 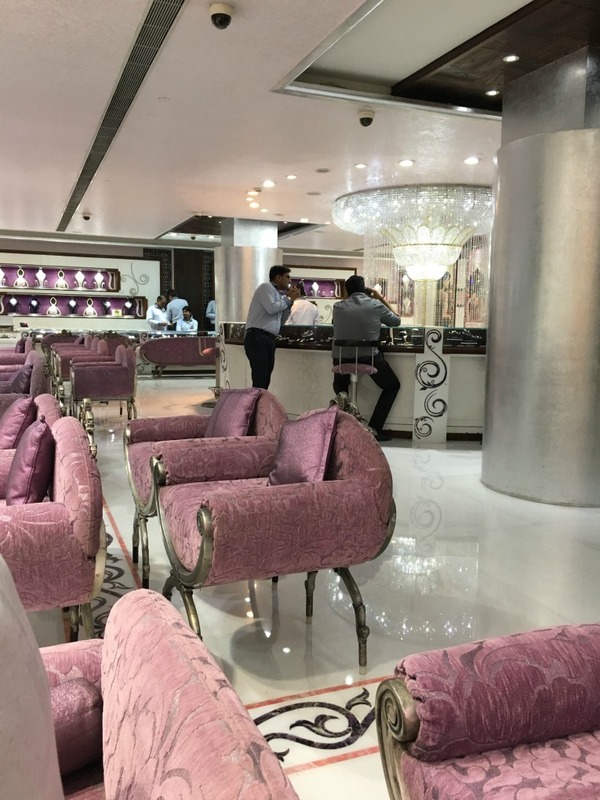 I didn’t purchase anything but it was fun to observe…The store we visited was enormous, with a gold floor, a diamond floor, and a silver floor, each decorated particularly with that theme. 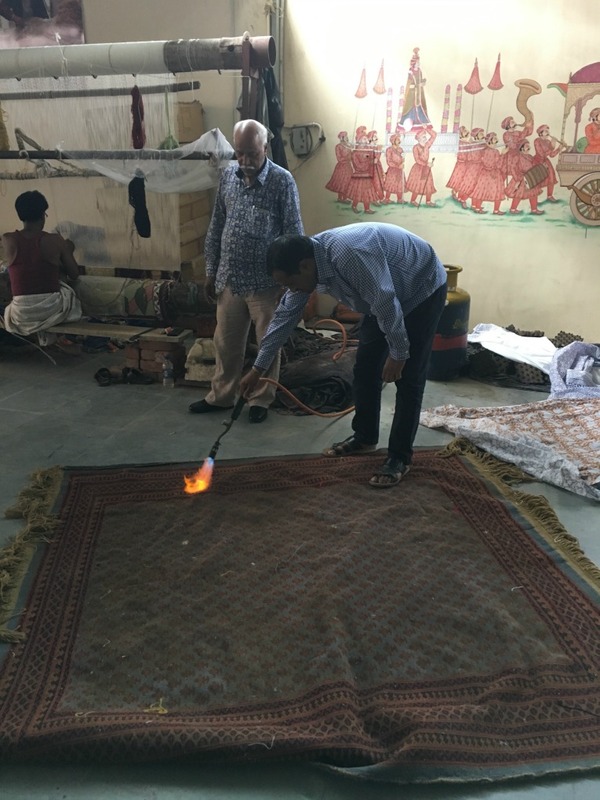 …after which they demonstrated how they ‘burn’ the rugs to prove that they are silk, i.e. 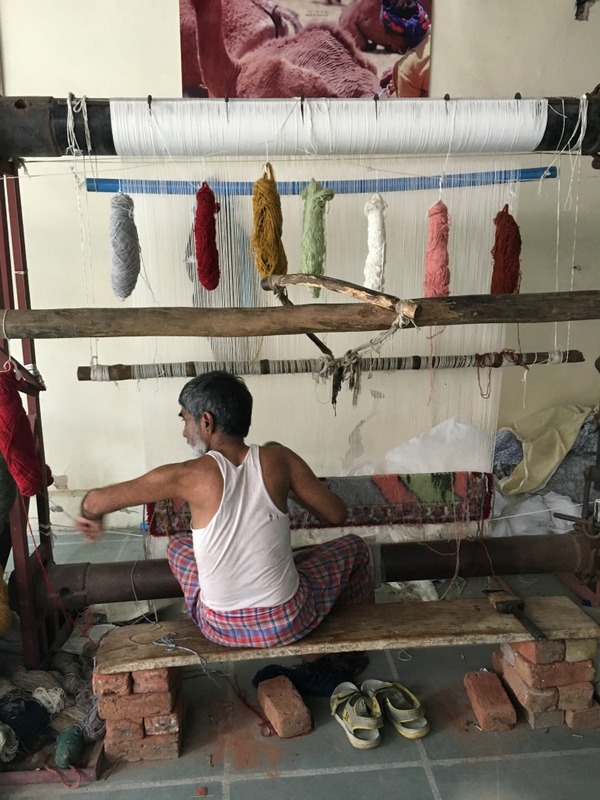 silk doesn’t burn! 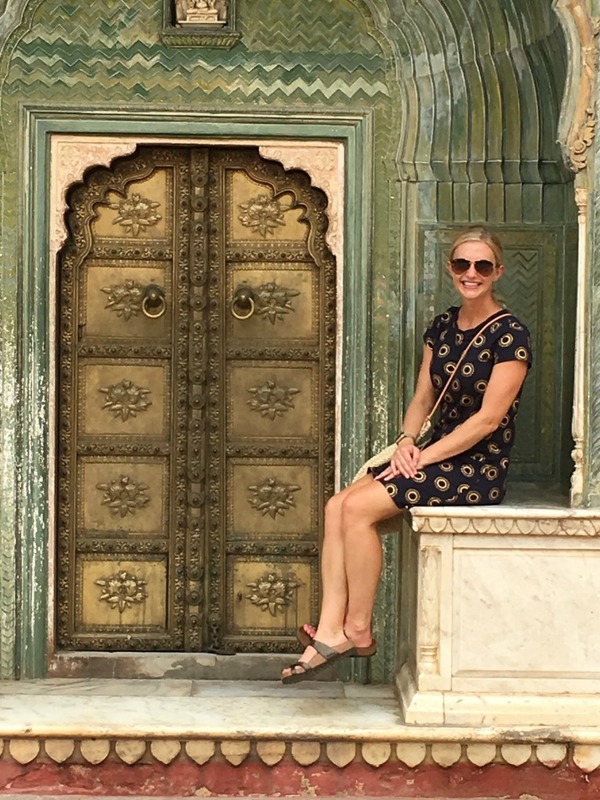 Lisa bought a ton of awesome stuff, like a custom bedspread, pillow shams, and more, but I just went with one thing- a custom-made shalwar kameez, which is the right fit in fashion here in India! All my colleagues wear them to work, so I thought it would be a great souvenir to get a custom-made silk one in Jaipur. 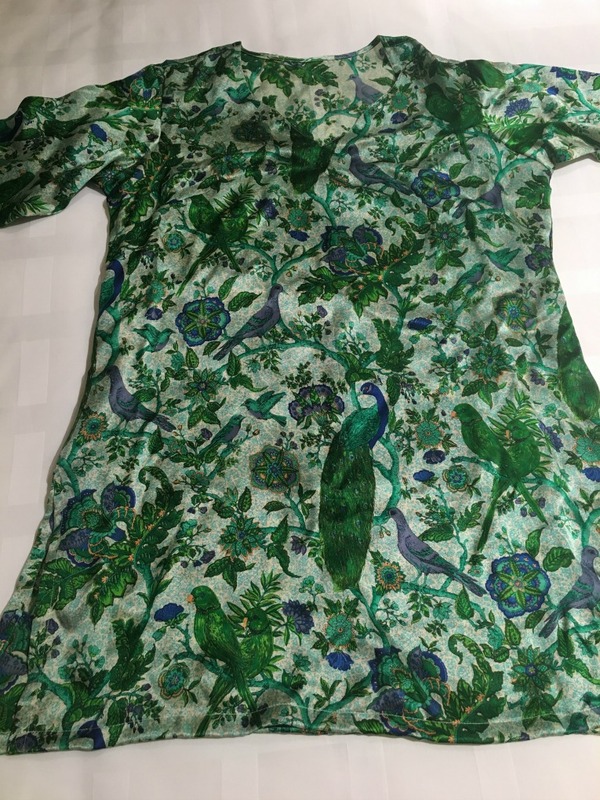 Mine has a peacock pattern (to remember all my peacock friends at the Oberoi) and I love it. I plan to wear it to work here AND in Minneapolis! After a full day of touring and shopping, we went back to the hotel to relax. I hung out by the pool for about an hour. Probably the most sun I’ve had since arriving in India! I was joined by a pesky chipmunk who kept trying to steal my snacks. 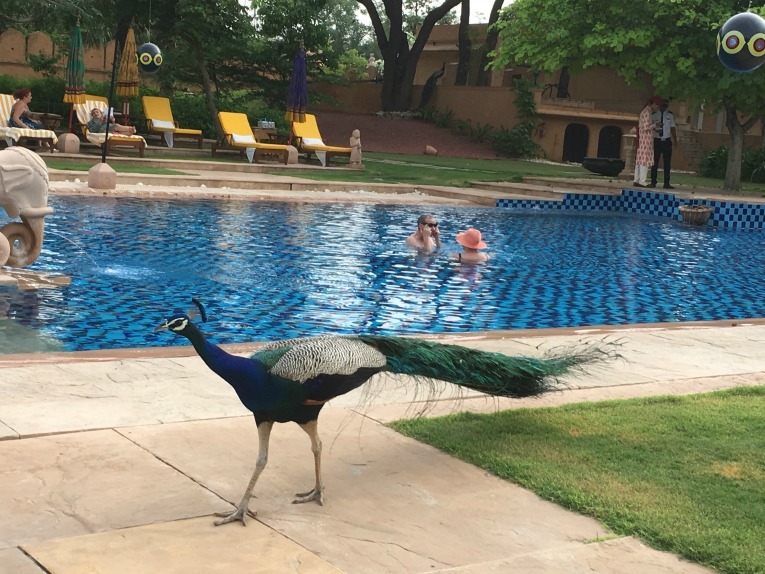 Then I was greeted up close by one of the many Oberoi peacocks! Man, they are beautiful…. Lisa and I had dinner again at our hotel as the food was really that good. Sunday morning was another early one for me, as I was picked up at 5 am for a 5:30 am start at the base of the road leading up to Nahagarh Fort. 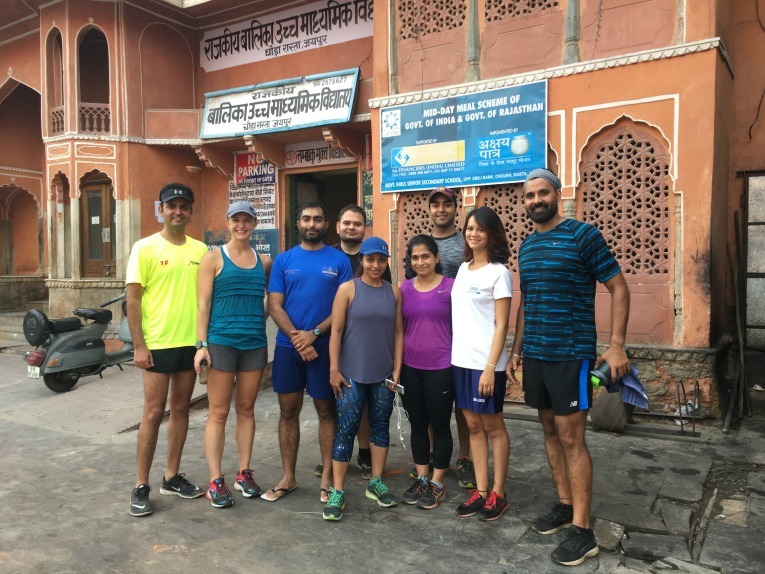 The Pink City runners planned to run up the route (10k) and back down again for about 21k, but I only had time for the 10k- just the hard part! It was tough going up the mountain and Manoj and I took multiple breathers. As we reached the summit, we came upon a herd of cows. 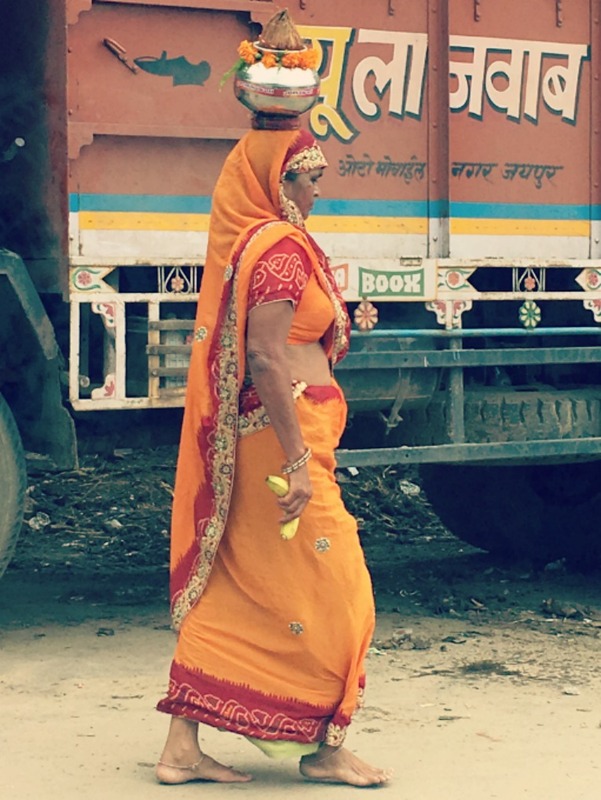 Of course, I wanted a picture- I mean, ‘only in India,’ right? Manoj told me to ‘be careful’ but he didn’t seem too concerned. I’m guessing for him it was no big deal to encounter all the cows. I walked through the herd cautiously (for the Insta!) and one of the cows charged me- well sort of charged me. More like he pushed me with his horns and forced me off the road into the briar which was really scary. I had no clue what to do- I sort of pushed him back while I panicked. Fortunately, that was it; he backed down from a fight (that he would have easily won…) I have a small bruise under my chest from where he pushed me and cuts from the briar on the side of the road, but I survived my first cow attack. Does this mean I have to tell customs I was hanging out with livestock? 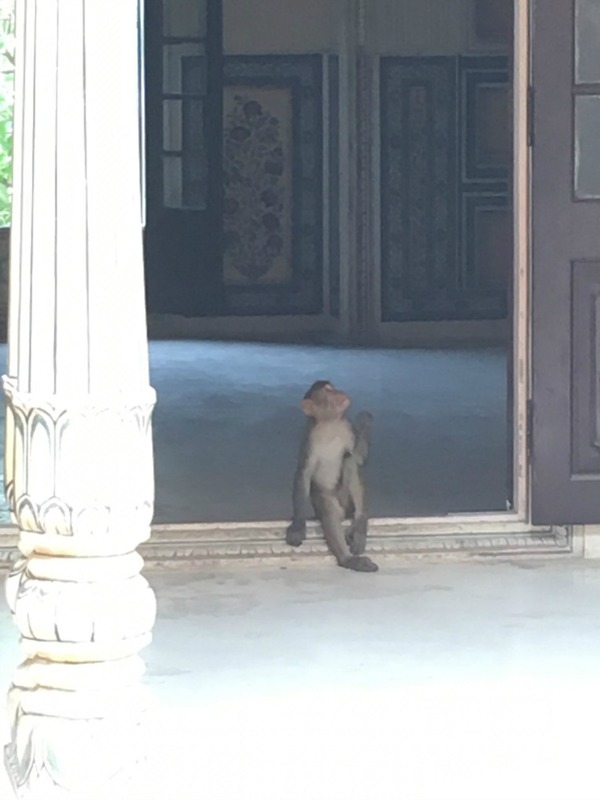 Clearly, he was telling me I was not welcome in Jaipur. You can see how angry he looks in the below picture…He was not my biggest fan. After the close encounter of the bovine type, we continued on all the way to the fort, where we took lots of pictures. 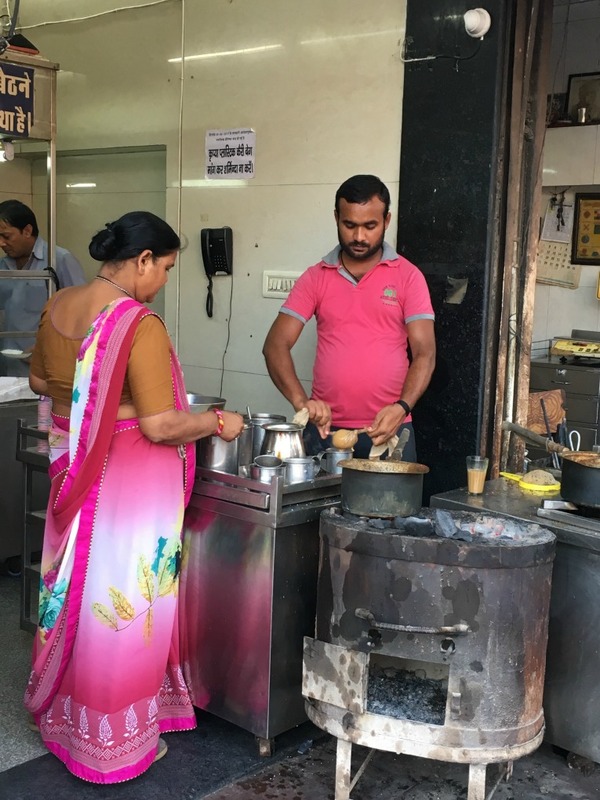 Once again, post run, we had a masala tea and some sort of savory street food snack, (I can’t remember the name) before I went back to the hotel to shower and get ready for a bit more touring. Monkeys are a real ‘pest’ here, as they can get aggressive. My guide carried a stick to just wave to scare them away, but we only saw one. 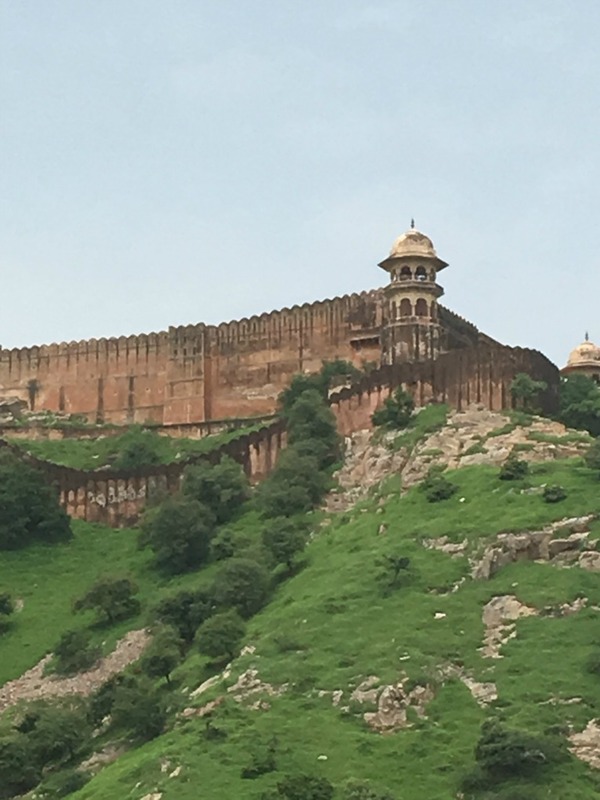 They call it a fort, but really it’s a palace within a fort. 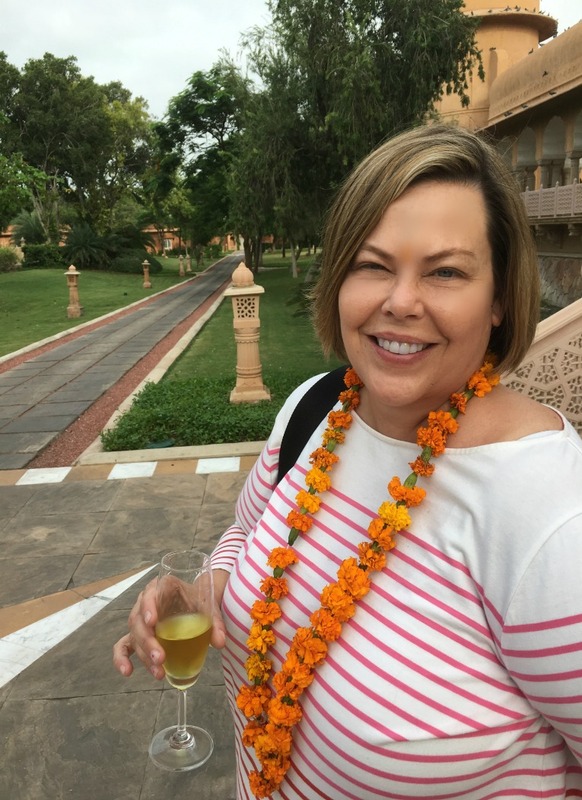 We were done with the tour on Sunday by about noon, so Lisa and I relaxed by the pool again for a bit before heading to the airport for our 4 pm flight back to Mumbai. In addition to cows, pigs, and dogs, there were also quite a few working camels. 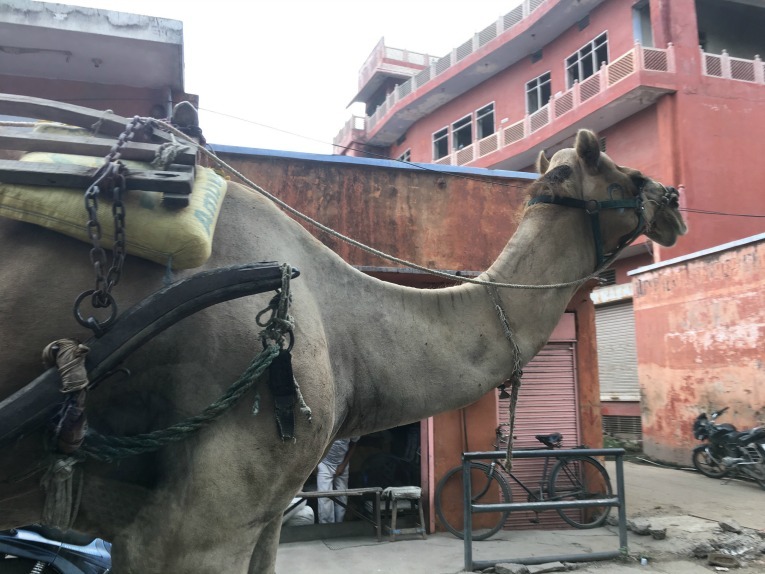 Our guide said many times if you order material for building a structure or something similar, having it delivered by camel will be much cheaper than having it delivered by car- just takes a big longer! 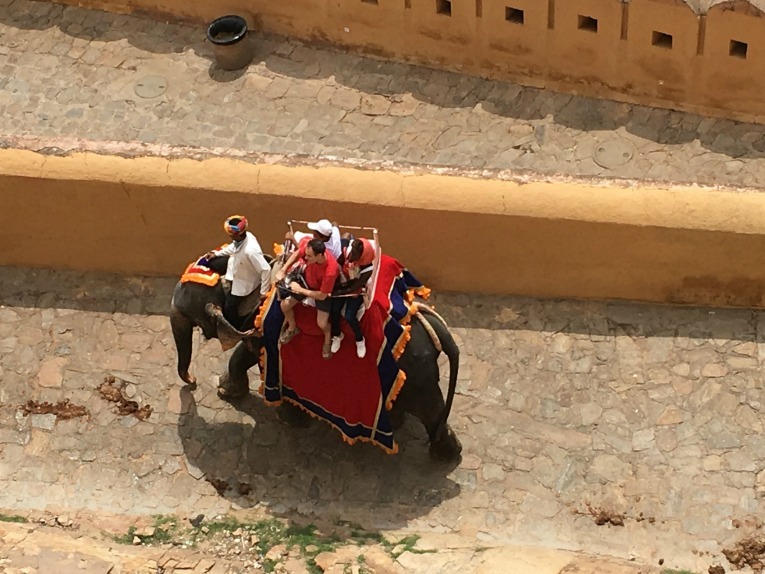 Though it was just a short weekend trip, I really enjoyed Jaipur. If you are in Mumbai for work, I definitely recommend trying to take a weekend getaway to this fascinating place! I will be sharing tips via facebook lives and youtube videos for runners. 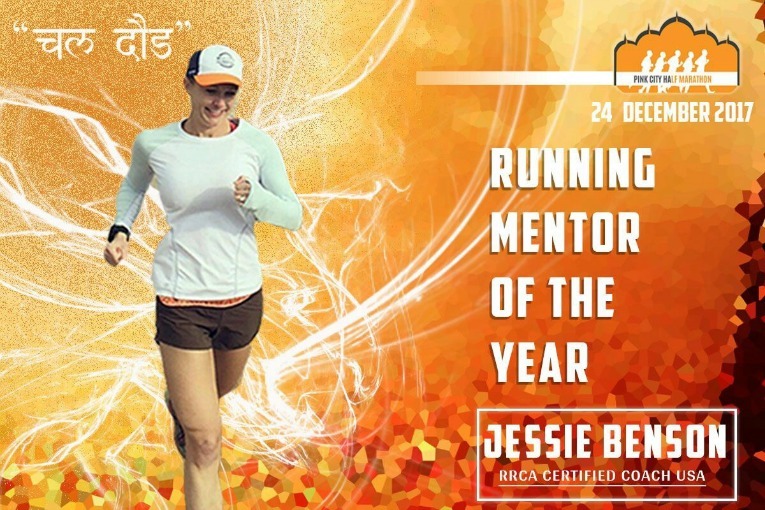 I’m a little surprised that I was asked to do this, as the other ambassadors include a Bollywood star, a local politician, and a local running star….who am I? I asked that same question, and was told that I have all this marathon experience that they think I would be a great resource for runners in a place where running is still very new but growing. 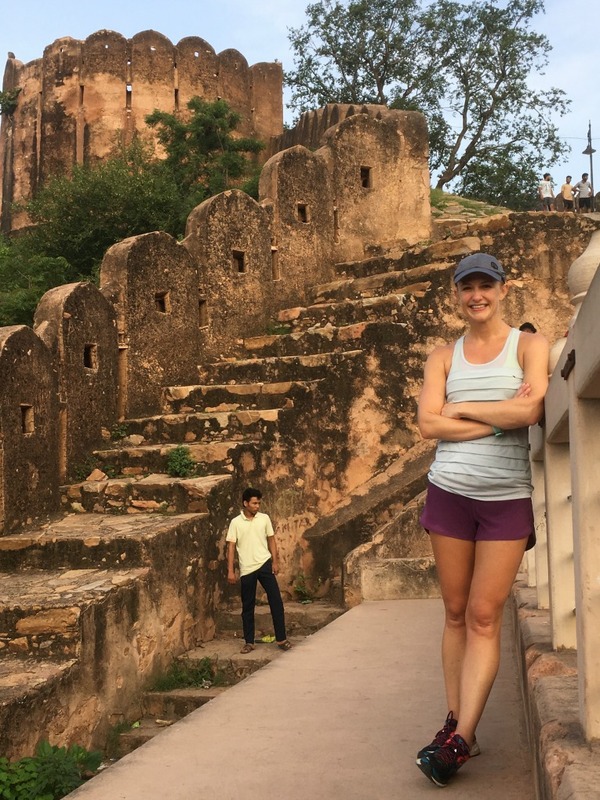 So…here I am, telling you that you should go to Jaipur in December to run the Pink City Half Marathon! If you are an international runner, you will get free registration and free accommodations. And you’ll get to see all the cool things I just mentioned above! Consider it. It would be an adventure! 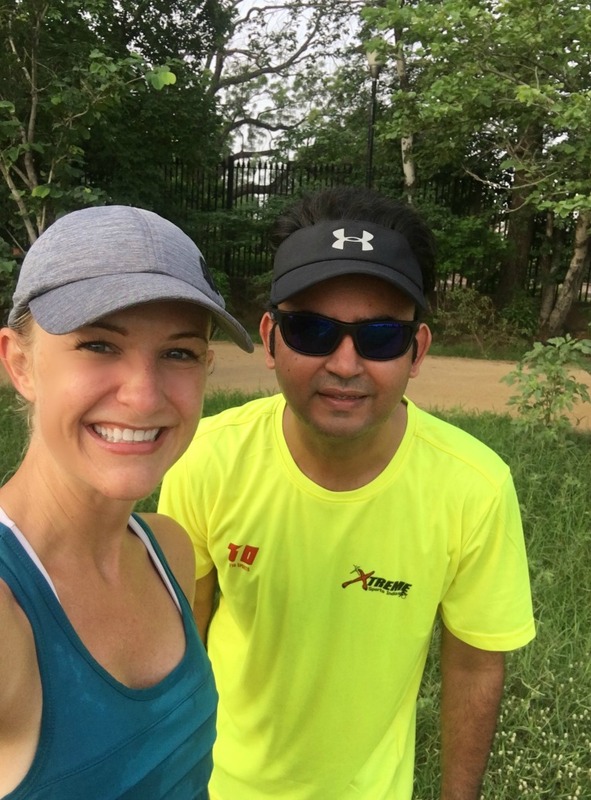 🙂 I just love running- with it, I was given this totally random opportunity to connect with a running community a world apart from Minneapolis! 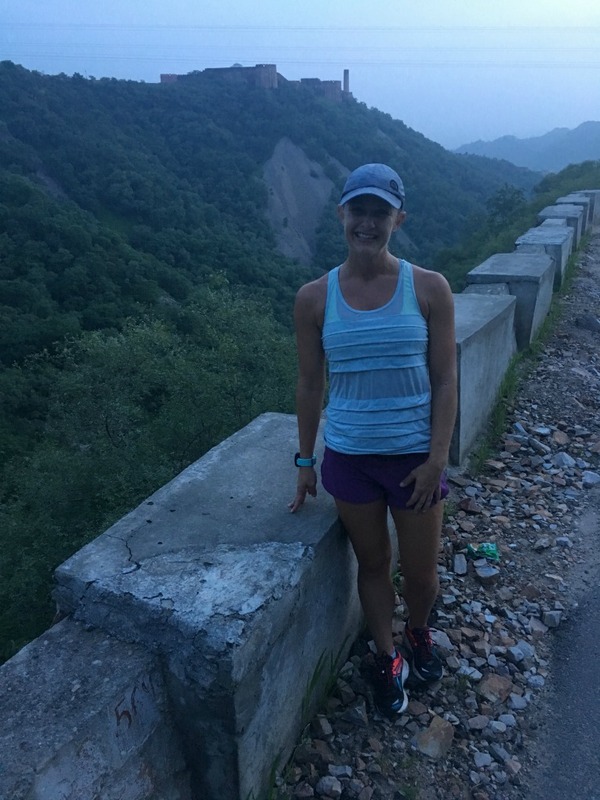 « Weekly Recap: 13 Weeks Until the New York City Marathon! Is that man wearing flip flops to run? Wow! Looks like you’re having an amazing time! What an experience!!!! Im glad that you didnt get seriously injured from that angry cow!. Does this mean youll be back in december for the half marathon race 🙂 ? I wish I would be back! 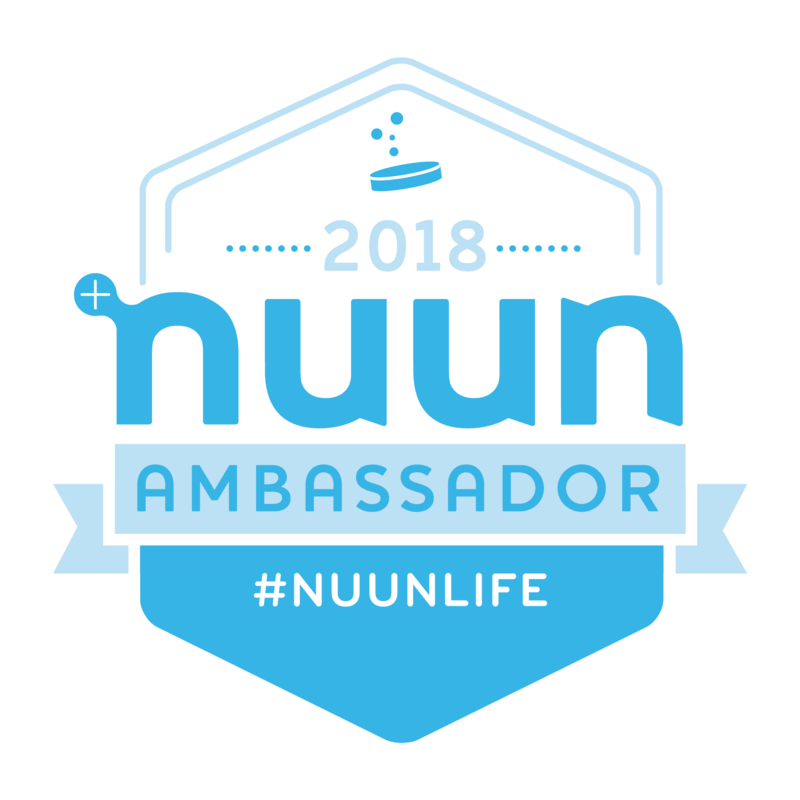 I doubt it though but I’m excited to connect with a new community of runners! Another fantastic tour. Great post Jessie! Thank you SO much for sharing all your adventures with us! You bet! 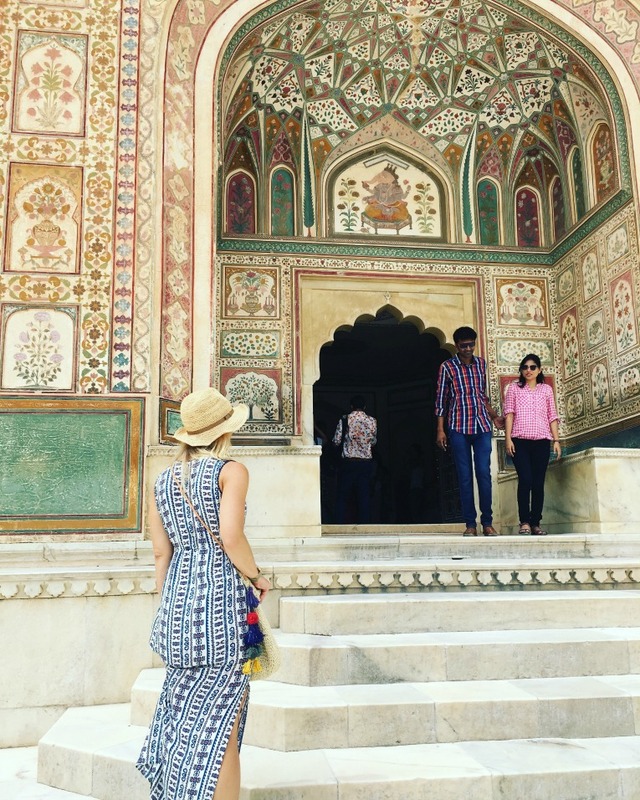 I love documenting my travel!